FRIDAY, Jan. 26, 2018 (HealthDay News) — Waiting for acne to clear up on its own can be frustrating, especially for teens who are already self-conscious about their appearance. Most prescriptions are topical. That means they’re applied to the skin, typically to kill bacteria and/or reduce oil. Often in gel form, they may contain a retinoid (a vitamin A-based ingredient), prescription-strength benzoyl peroxide, or antibiotics. There are many effective combinations that your dermatologist can recommend. If one doesn’t work, another might. 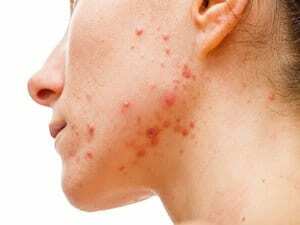 Severe acne, with cysts and nodules, often needs medication in pill form, from antibiotics to the most powerful vitamin A drug called isotretinoin. According to the American Academy of Dermatology, one 4- or 5-month course of isotretinoin brings about clear skin in 85 percent of patients. However, it can have serious side effects, primarily birth defects, so it’s essential that people taking it don’t become pregnant (or even breast-feed) while on it. With so many options, there’s no reason to suffer through this skin condition.